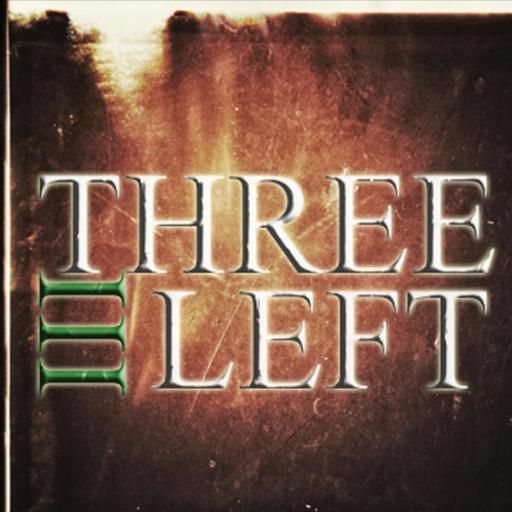 "The contrast with the heavy music pieces and his voice are great, I like the mix with heavy rock and then grunge and pop vocals in the same song"
Formed in 2006,Defined as a Aggressive groove Rock/ Metal band, Three Left is a 5 piece group that hails from Southeastern,Milwaukee with cutting edge sound and Melody the area has not seen in a long time. fueled by the energy they produce,former California frontman Chadwick Davis, brings power and stage presence for the band plus, his vocal talents are up there with some of the best Wi has to offer! Then you have the twin guitar attacks of Dan Beall and Rich Czebotar, doing what dual guitarist stand for! Dan Beall, formerly from Colorado, brings dynamics and dimension from his musical upbringing! While Rich Czebotar, a veteran musician from Milwaukee, and co-founder, came together to form the beastly sounds that drive Three left along with arranging most of the bands music! Ron Hardcastle, from Kenosha, Wi, and co- founding member, played with several blues groups in town to hone his skills for the thunderous bass lines you hear in the band currently! John Miller, drummer, formerly from Indiana, has built his reputation from playing in various bands in the Midwest region and is the foundation for what drives Three Left today! A band a brothers that have been making a name for themselves, from their musical influences,meaty hooks and energetic stage shows, this band will leave you wanting more in every sense of the word and beyond! !